This is the second in a series my friend, Mike Angell and I are posting at each of our blogs. You can read the first part here. Jason: If I was younger, and grew up in Denver, I could have been one of those kids looking funnily at Mike on Ash Wednesday. It was never directly communicated to me but I grew up with an assumption that Christians of a more liturgical bent were not really Christian. They did archaic things at church. They drank alcohol. Interestingly, I’ve experienced something similar with Episcopalians. There are grand, misinformed assumptions made of evangelical Christians by their mainline counterparts. As someone that has worshiped in both worlds, I can confidently say that our assumptions often keep us from learning from each other. There is more in common than most know. Especially when it comes to worship. Mike: Liturgy translates literally as “work done in public.” In church that public work is public prayer. When we talk about “a liturgy,” in the singular (or liturgies plural), we are usually speaking about a particular church service. A service of Eucharist or Morning Prayer for example. In the Anglican Tradition we put the liturgies we pray together most often in a book called “The Book of Common Prayer.” There are other books of liturgy as well, like the Book of Occasional Service (which, unsurprisingly, you only need occasionally). Evangelicals also have a liturgical tradition. Evangelicals often don’t call it “liturgy,” but all church is liturgical, because church is a place of organized public prayer. In the Episcopal tradition, we tend to “privilege” the Catholic in discussions of liturgy. But the evangelical churches have a rich tradition of their own. The Moravians and the Quakers have very particular and historic ways of approaching God in prayer. There is a structure, an order to the public services in all churches, wherever they fall on the Evangelical/Catholic spectrum. But Episcopalians are not the only ones who look down their noses at less formal worship. A few years ago, Jason shared a video made by Evangelicals, lampooning their own tradition. Jason: That video exposes how contrived worship can feel in evangelical circles. I got the same feeling the first time I saw this SNL skit. It hits way too close to home for many Episcopal parishes. The danger in both cases is presenting something seemingly artificial. Like Mike said, every Christian tradition has a liturgy–a form or rhythm they follow in worship. If we are unclear of what those rhythms are for than we end up simply going through the motions. A strength of liturgical churches is that there is no denying that they draw on something ancient. There is no attempt to disguise the worship experience as anything else. But, again, it becomes meaningless if it is not interpreted for the person experiencing these practices. Mike: To be a liturgical Christian is to know you walk a particularly well-worn path. The words and gestures used in church have been passed down through the ages. The psalms themselves are the earliest prayer book we have. Most liturgy makes use of the psalms. We pray words together that have been prayed for thousands of years. We stand with the saints who have gone before us. In some ways liturgical Christianity is a bit like a “Life-hacks” article on Buzzfeed. The Book of Common Prayer is a compilation of “prayer-hacks” or “worship-hacks.” Over the years people have figured out what words and motions help people to connect with God together. When we open to the page of a particular liturgy, we pray in a particular historical rhythm. Jason: I like the way you put this, Mike! It reminds me of the preface of the BCP. The idea of “worship-hacks” alludes to the relationship between the subject and end user. “Hacks” exist to efficiently broaden usability, increase accessibility (it is, afterall, called the Book of Common Prayer). This also implies that in making worship and prayer accessible, we’re additionally showing people how to do it. Yet, I think, this is where liturgical traditions get themselves into trouble. How can leaders use liturgy to shape and inform people when the language and form of this tradition is so foreign to an increasing number of people? Mike: Jason, you’ve hit the question on the head, but I don’t think the answer is simple. Liturgical churches hold the tension between formation and translation. 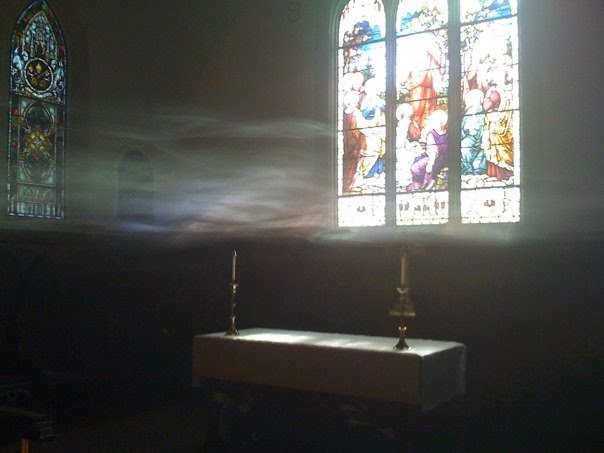 Sometimes we hold the tension well, and liturgy comes alive. The ancient speaks to the present, and the wisdom of the ages helps us to sense our connection to God. Sometimes we don’t hold the tension well and liturgy feels like pandering (as in both the videos we shared), or we swing the pendulum the other way and liturgy feels like a museum piece, disconnected from reality. Liturgy is an invitation to participate in a different world, a different sense of time. It has to feel “other” but it can’t quite feel “foreign.” I hope as we move forward, we can discuss ways to “hack the hacks.” That is to say, I hope we can talk specifically about what we have learned as we have adapted liturgy to work in our particular contexts.